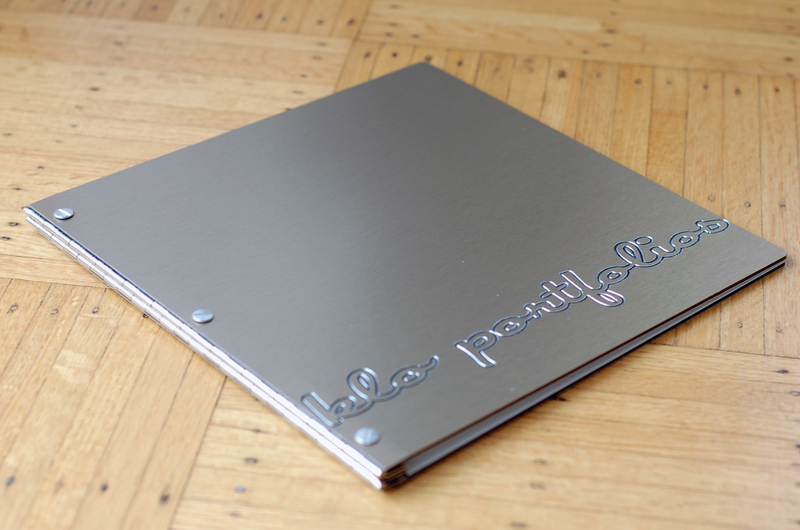 This portfolio book includes rounded corners and a custom engraving that shows the black polyethylene core. 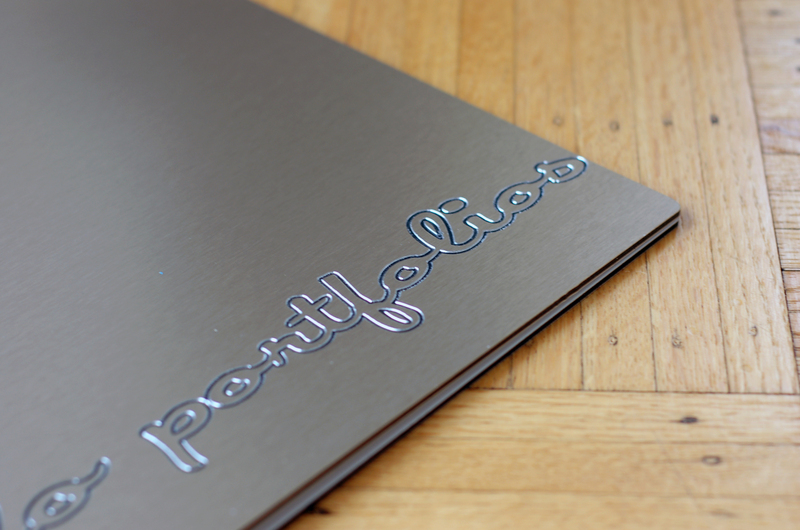 We are very excited to offer aluminum portfolios as it is light, beautiful, and incredibly durable. 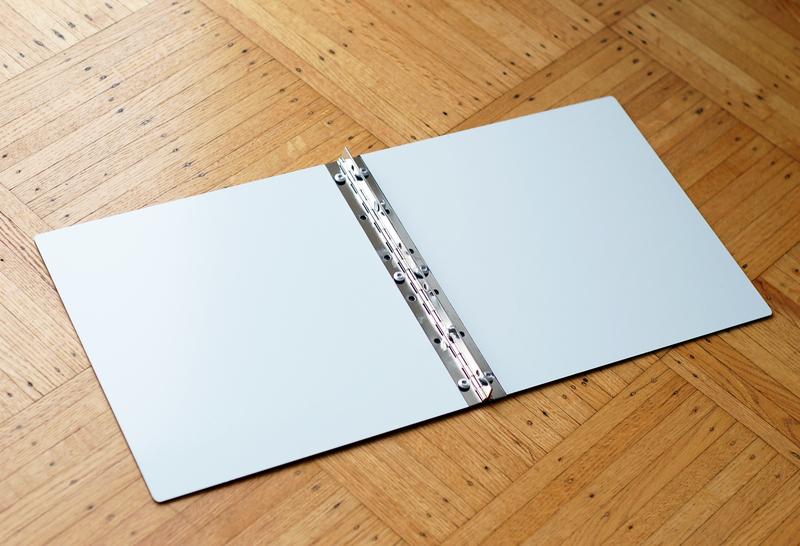 The inside of the portfolio books are hinged with screw-posts allowing you to easily add and remove your work. The brushed bronze aluminum case has a white interior, giving it an added touch of finesse. That being said, we figured it was about time we had one of our own. A portfolio case of portfolios. Well fancy that! Have a fantastic idea about a portfolio case you’d like to create? Visit the Klo Portfolios website for more info or email info[at]kloportfolios.com with your questions and comments. As always, happy creating!